In its monthly safety scenario, April edition, the Swedish Club describes a case of cargo damage caused by water ingress due to a crack in the hatch coaming. 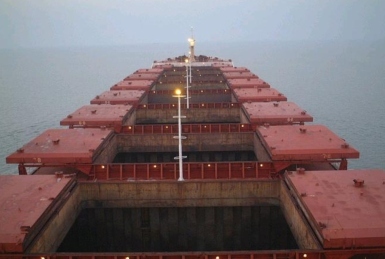 The incident resulted in several days of delay for the ship to get the wet cargo off the vessel, while most of the cargo was refused by the buyer. – What were the immediate causes of this accident? – Is there a risk that this kind of accident could happen on our vessel? – How could this accident have been prevented? – What are our procedures for inspecting cargo hatch covers? – How do we ensure cargo hatch covers are weathertight? – Do we use weather routing? – Do we record all maintenance in the PMS? – How often do we inspect the hatch coamings? – How often do we inspect the drain lines and valves? – How often do we inspect the sounding pipes? – What sections of our SMS or PMS would have been breached if any? – Does our SMS or PMS address these risks? – How could we improve our SMS and PMS to address these issues? – What do you think was the root cause of this accident? – Is there any kind of training that we should do that addresses these issues?